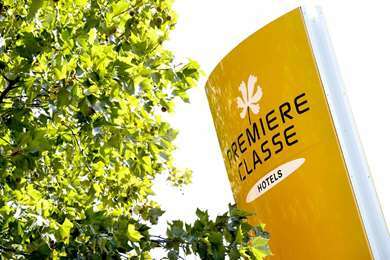 Hotel Kyriad Design Enzo in Vierzon is located at the junction of 3 highways, and right next to highway RN 76, between Sologne and Berry. This is the ideal place to stay while exploring the wine route and tasting local products, and sight-seeing our heritage sights. 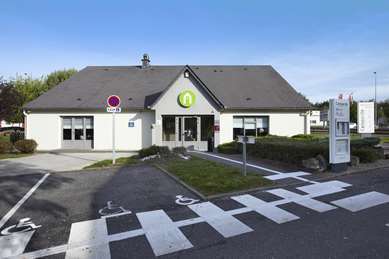 The hotel is easily accessible (200 yards) off exit 6 Vierzon Est from highway A71. The fairgrounds are less than 2 miles away. A quality environment is offered. Vierzon, a city of water, is at the meeting point of 5 rivers including the Yèvre and Cher rivers, crossed over by the Canal de Berry and surrounded by a magnificent 7500 hectare forest. There is a wide choice of major activities nearby: Aventure Parc is just 15 minutes from Vierzon, the nautical base and 18-hole golf course just under a mile away, riding schools, 75 miles of marked hiking trails. Take advantage of your stay to explore Sologne and Berry, with their gastronomy, art, religious buildings, nature and charming accommodations. Also you can see the many craft shops where their beautiful work is a living memory of old techniques combined with a modern and sophisticated touch and which is a work of refinement throughout the Porcelaine Route, in the Pays de Vierzon. We also offer a fully equipped meeting room for your meetings and seminars that benefits from natural lighting. We also offer private free parking. The hotel welcomes pets. In a new modern and warm decor dedicated to the automobile sports world, Hotel Kyriad Design Enzo Vierzon offers you 41 rooms spacious and comfortable rooms (with high quality bedding) LCD TV, free Wi-Fi, open minibar, safe, desk, courtesy tray, telephone and bathroom with hair dryer. Whether you are traveling alone, as a duo or with 2 or 3 more companions, we have what you need. You’ll be so comfortable you will never want to go home. We have family suites for 4 people, as well as rooms specially adapted rooms for people with reduced mobility. We have a fast dining service on site offering snacks. We also work with partner restaurants near the hotel: the Hotel Campanile Vierzon Restaurant offers starter and desert buffets, as well as a menu and there is also the Buffalo Grill just 200 yards away, which is another wonderful invitation to indulge your taste buds. We also offer a fully equipped meeting room for your meetings and seminars that benefits from natural lighting.